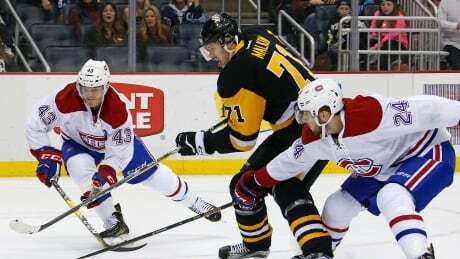 ?Evgeni Malkin scored a power-play goal 1:54 into overtime and the Pittsburgh Penguins rallied to beat the Montreal Canadiens 4-3 on Saturday night for their fourth straight victory. As 2013 dawned, then-Oregon Ducks coach Chip Kelly was the hottest name on the market. Now, he may never be a head coach in the NFL again. According to Saturday night reports by NFL Network and ESPN, the San Francisco 49ers are firing both Kelly and general manager Trent Baalke, in a housecleaning Niners’ top brass must hope will turn around a franchise that has gone from NFC Champion and Super Bowl XLVII appearance to a three-win season at best in just five years. Cam Atkinson scored twice and the Columbus Blue Jackets stretched their winning streak to 15 games by stopping Minnesota's 12-game run with a 4-2 victory over the Wild on Saturday night. 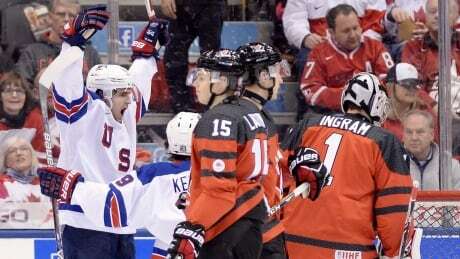 The United States scored two quick power-play goals for a lead they wouldn't relinquish in a 3-1 victory over Canada on Saturday afternoon at the world junior hockey championship. CHICAGO (AP) -- Chicago linebacker Pernell McPhee will miss the Bears' season-finale Sunday at Minnesota because of a shoulder injury. ALLEN PARK, Mich. (AP) -- The Detroit Lions have put running back Theo Riddick on injured reserve with a wrist injury. 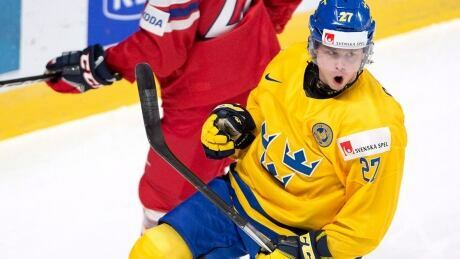 Jonathan Dahlen scored three goals as Sweden downed the Czech Republic 5-2 in the final preliminary round game for both teams Saturday at the world junior hockey championship. 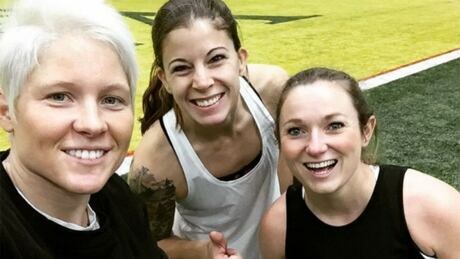 As 2017 approaches, Canadian Olympians look back at the moments that made this past year so special and the memories gained from the Rio Olympics. Things get interesting when you bump into Floyd ''Money'' Mayweather leaving the betting window. Like the conversation above, or disgraced Olympic swimmer Ryan Lochte trying to sneak into the world championships in Budapest with a fake mustache and new dye job, Mayweather vs. McGregor would be loads of fun. It will mark 50 years since the NFL's biggest game was first played - even though this one is technically Super Bowl LI. You are currently browsing the Sportspool.com Sports News blog archives for December, 2016.